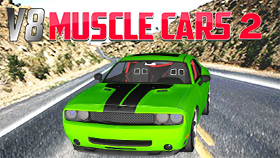 Progammed by Roman Konyukhov, Dream Car Racing is the expansion of the wonderful Racing video game Dream Car Racing, which has more than one sequel that have been made successfully. The game offers four different location such as Highlands, Snow, Desert and Dawn. Each Location contains an amount of meters that is required to be accomplished by the player before he wants to enter the next one. Dream Car Racing Evo allows the player to look at the scheme to assemble his first car. Then, he can start racing to earn coins in order to upgrade his own car. 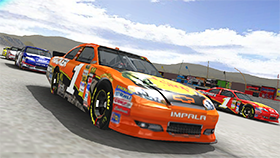 There are various Upgrades in the game shop that can help to boost one car’s performance. Even more, you can customize the color of a car in order to make your car looks better. Even though this game is a Racing one, you have to take an eye on the Fuel of your car since your car cannot work without it. When you run out of Fuel, your gameplay will be put to an end. 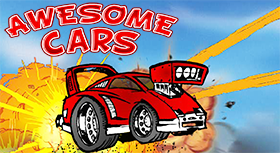 Dream Car Racing lets you reach the in-game millstones one by one, so you don’t need to be in such a hurry. With the unique gameplay and thrilling elements, Dream Car Racing Evo is a wonderful Racing video game that you need to give it a try. Have fun! Let the Map lying at the bottom of the screen help you to catch up with your opponent. For better gaming experience with the game, try the unblocked version. Dream Car Racing Evo Unblocked is now available on Freegames66.com! Why don’t you try it now? In an addition to that, you can taste thousands of similar games like Dream Car Racing Evo there, let’s start!